Louisiana comes west every year for the Long Beach Bayou Festival at the Rainbow Lagoon in front of the Hyatt Long Beach. 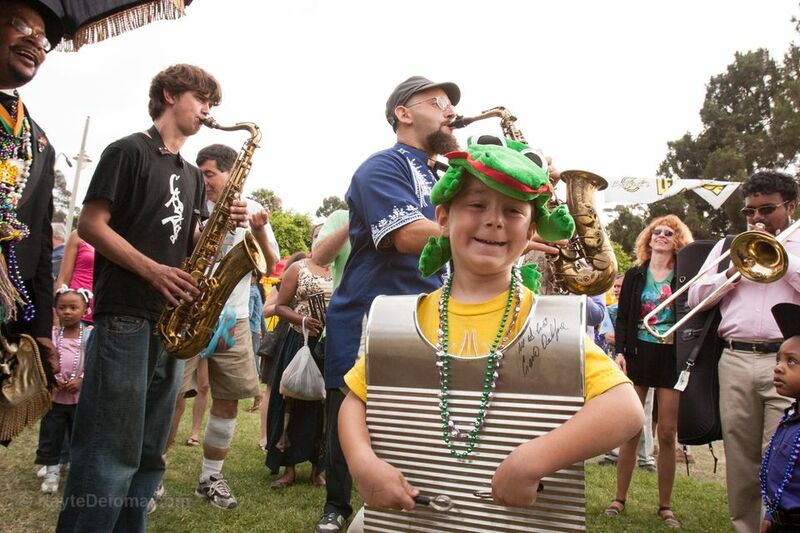 The festivities include two stages of Cajun, Zydeco and Blues music. Eighteen bands will perform, including headliners Leroy Thomas & the Zydeco Roadrunners and Terry & the Zydeco Bad Boys on the Zydeco Stage; and Guitar Shorty and Big Jay McNeely on the Blues Stage. There's also a Mardi Gras parade that marches through the festival grounds, vendors selling Mardi Gras paraphernalia and other merchandise. The Kids Zone is the place for crafts, activities, dance lessons and special entertainment to keep the little ones entertained. There is lots of great Cajun and Creole food. Crawfish eating contests will take place throughout the day. The event takes place at the Rainbow Lagoon in Long Beach. If you've never danced Zydeco, lessons will be offered throughout both days. Where: Rainbow Lagoon, at the intersection of Pine Avenue and Shoreline Drive. Cost: $30 gate Adults, Seniors (62+) and students 18+, $15 youth 13-17 , 12 and under free. Advance VIP tickets (includes backstage access, reserved seats, 1 meal, 2 beverages) are $65/day, online only. Parking: Parking has been reserved for festival guests across the street at Marina Green, additional parking at the Pike, the Convention Center or Long Beach Arena. Street parking is metered both days. The music on two stages is the biggest draw at the Bayou Festival. Here folks are spread out in front of the Blues Stage. Zydeco music isn't meant for holding still, but for dancing! There's an actual dance floor near the Zydeco Stage. If you've never tried it, watch for lessons throughout the day. It's pretty simple if you've done any other kind of dancing. Did I mention that there's lots of dancing? The Blues Stage has people dancing in the grass. Food is another big attraction at the Bayou Festival. You can find a variety of Cajun and soul food options at the Bayou Festival from gumbo and jambalaya to Southern fried chicken and cornbread. Get your N'Awlins-style crawfish or catfish at the Long Beach Bayou Festival. Even though it takes place in June, the Bayou Festival has a Mardi Gras theme, including a parade through the festival grounds. Most people think of Mardi Gras as Bourbon Street bawdy, but 90% of Carnival and Mardi Gras activities in New Orleans are geared toward families, with most parades going through family neighborhoods and throwing toys. The Bayou Festival also has lots of fun activities for kids. In addition to crafts, music demonstrations and face painting, there's a full lineup of entertainment on the Children's Stage. In addition to the bands on stage, different bands and musicians are invited every year to participate in the parade and general festivities. You'll find lots of Mardi Gras beads and baubles for sale at the Bayou Festival, but there's plenty of other merchandise to browse and buy as well. The cool ocean breeze makes Rainbow Lagoon in Long Beach a pleasant venue for an outdoor festival, even when it's hot.